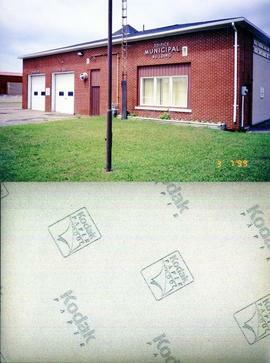 File consists of three photographs of buildings; one of a Municipal Building in Rayside Balfour, one of Ecole Ste. Marie in Azilda, and one of a sky view of buildings in Azilda. File also contains two annotated colour photocopies of the sky view picture of Azilda.